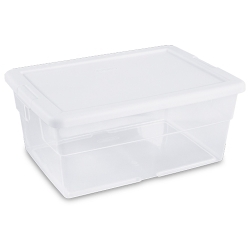 Sterilite® 28 Quart Basic Clear Storage Box with White Lid | U.S. 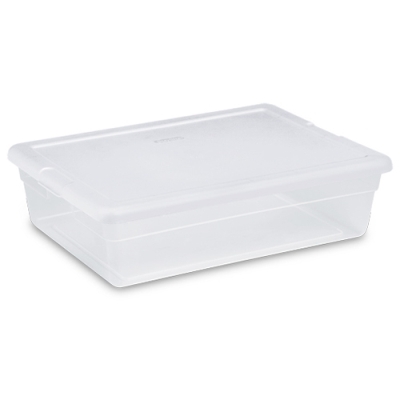 Plastic Corp.
Sterilite's clear storage boxes feature a see-through base allowing contents to be easily identified. 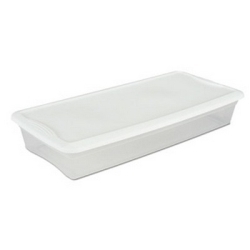 Fashionably contoured end panels create recessed handles for easy lifting and transporting. 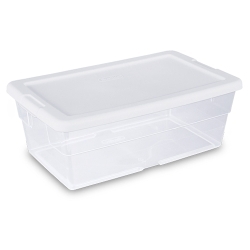 Secure-fit lids feature comfortable grips and an indexed surface area for exceptional stability when stacking multiple units. 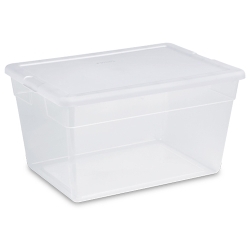 Dimensions are 23" x 16-1/4" x 6".